Medieval historians world-round collect and display pieces of medieval art, weaponry, and decor in their offices and homes. You can feel like a medieval historian with the Dragon Sword and Letter Opener Plaque on your wall! 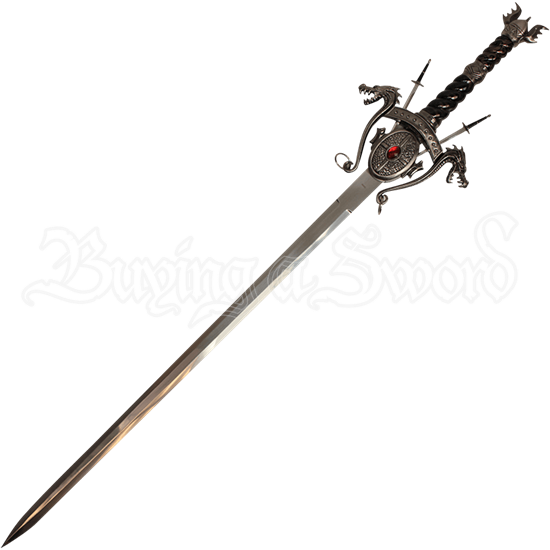 This ornate longsword is made from stainless-steel and bears a rather distinctive guard. The hand guard of this display weapon possesses a somewhat shield-shaped design. Two dragon heads are connected by a decorative metal band, their necks turning into tails that hang below them with upturned ends holding rings. An ovular shield in the center of the guard bears the image of a thin cross and a red stone inlay. 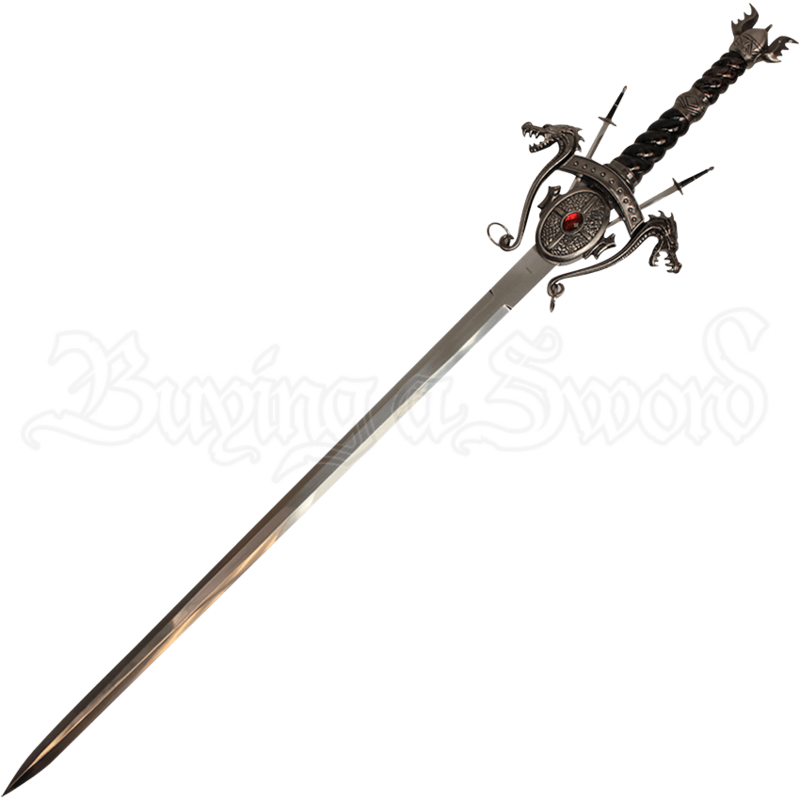 Two sword-shaped letter openers are inserted into the guard and can be removed and replaced at any time. The handle of this elegant sword bears a black, wrapped appearance, and is topped by a winged helmet shaped pommel. This ornately decorated sword comes on a wooden wall plaque, allowing you to hang it from any room in your home or office! Give it to a friend or loved one who enjoys swords, or use it to add a medieval flair to your work space or home!